When Germany surrendered on May 8, 1945, Staff Sgt. Rocco J. “Rocky” Moretto was one of only two men in his infantry company who’d landed on D-Day and fought through to victory without being killed, wounded, or captured. Moretto belonged to Company C, 1st Battalion, 26th Infantry Regiment, 1st Infantry Division, “The Big Red One.” He came ashore on Omaha Beach in the second wave during the June 6, 1944 Normandy invasion. A diminutive figure who looks barely larger than his M-1 Garand rifle, Moretto later remembered the war not so much for the pitched trauma of combat but for the long hours of being sleepless and cold. It was the fight that had been coming Moretto’s way all his life. Born in 1924 in New York City, he grew up in Hell’s Kitchen, Manhattan. He played baseball and boxed. Moretto arrived in Liverpool, England, in November 1943 and joined the 1st Infantry Division as a replacement. “It was widely known that we were preparing for an invasion of Europe,” he said, “but no one knew where the invasion would take place. I made private first class a week or two before the invasion.” Today, a plaque on Omaha Beach marks the spot where he and his fellow GIs began the liberation of Europe. 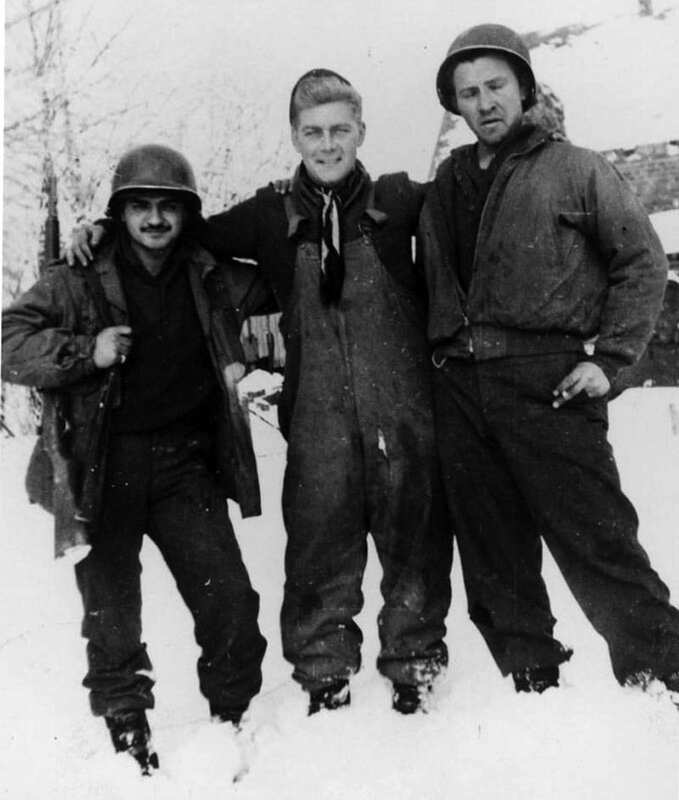 Company C was in heavy fighting in the Huertgen Forest as summer became autumn, then winter. The abrupt, front-wide counterattack by German armies on Dec. 16, 1944, surprised Allied commanders in the Ardennes, a forested plateau in northern France that been the scene of earlier fighting in both world wars. At various points along the front, German troops and tanks broke through American defenses. As viewed on the map, the assault created a “bulge” which, if it grew large enough, might divide Allied armies and enable the Germans to drive for, and capture, Antwerp, Belgium. Company C was transferred to the 2nd Battalion just in time for the Bulge. Moretto’s battalion, commanded by Lt. Col. Derrill M. Daniel, relieved engineers who were defending a Belgian crossroads called Dom Bütgenbach. Not far from Moretto, the 33rd Field Artillery Battalion dug in with 105 mm howitzers. As the Germans came at Moretto and his buddies late in the day on Dec. 17, their assault began a battle in which artillery and tanks were vital. Between pointblank firefights, Moretto’s best friend, Sgt. Bob Wright, was killed by an exploding German artillery shell only feet in front of Moretto’s foxhole. Britain’s Field Marshal Bernard Montgomery, who was Gen. Dwight D. Eisenhower’s subordinate but feuded constantly with Ike, announced the end of the Battle of the Bulge during a Jan. 7, 1945 press conference. 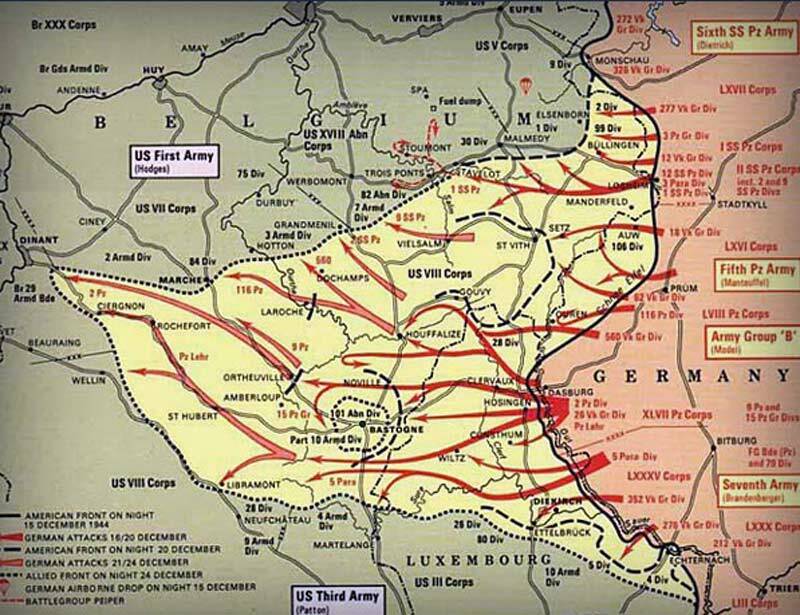 The German offensive in the Ardennes became an American victory. Some 30,000 Germans were killed. 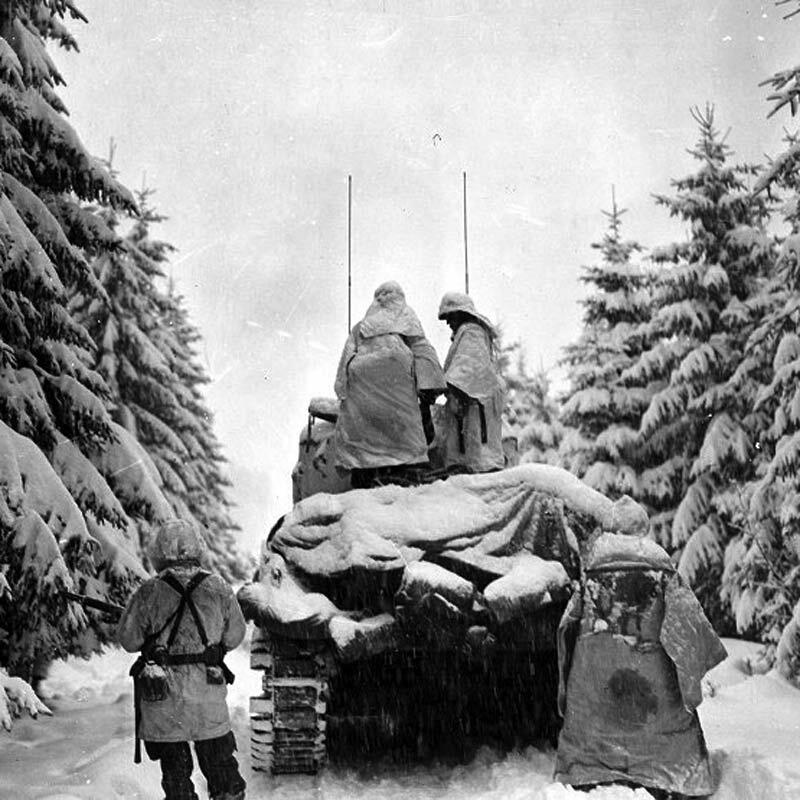 Today, many view the Battle of the Bulge as a last gasp by Hitler’s Third Reich, which collapsed in May 1945. Moretto, who turned 90 in June, lives in Long Island City, N. Y.